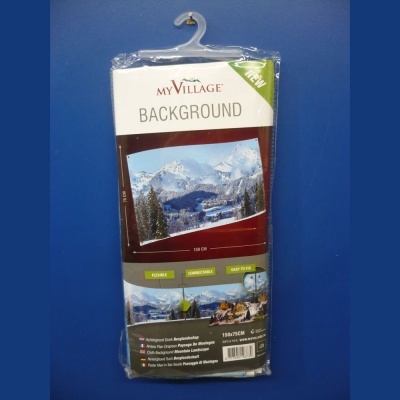 MyVillage™ Winter Scene Backdrop Cloth from the growing range of scenic accessories, fully compliments the Lemax Collection of miniature villages. MyVillage™ Winter Scene backdrop cloth depicts a snowed alpine Winter scene designed to hang behind a Winter Village display. Cloth is flexible, connectable and easy to hang with strong eyelets at each corner, designed to be hung individually or joined to make a continuous wider backdrop. 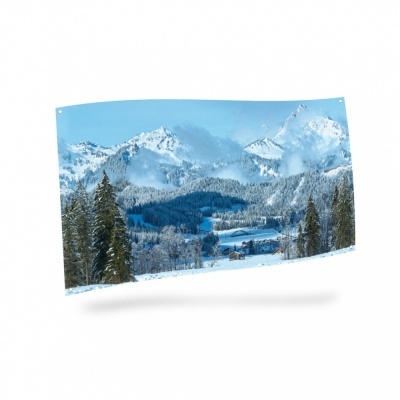 Ideal for placing behind a Lemax Winter scene, to create even more realism at eye level. This pack comes with a single backdrop cloth depicting a snowed mountain landscape.